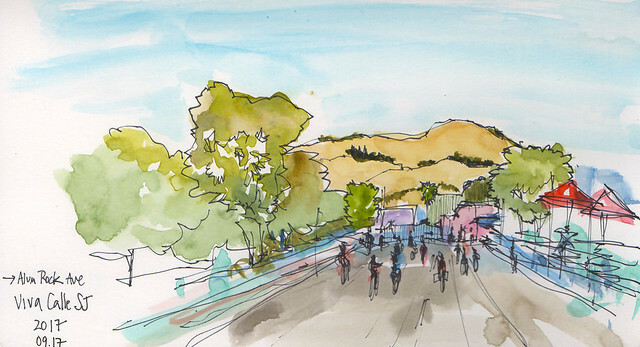 Last weekend, San Jose once again hosted Viva CalleSJ, an open streets event to encourage walking and bicycling. Each time, I discover more parts of the city. 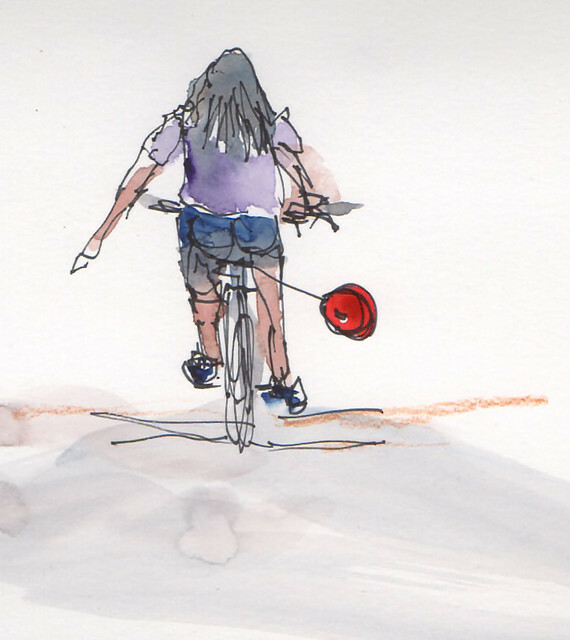 This year we started near Alum Rock, and M. brought along his Box Bike. 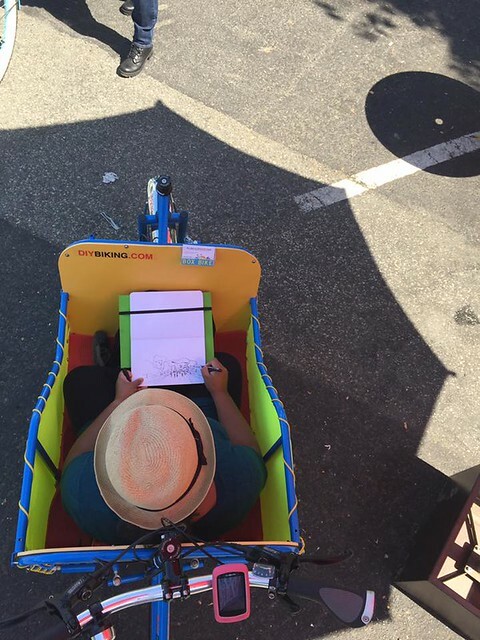 I had the best seat in the house -- I got to sit inside the box bike and sketched while M. pedaled along the route! 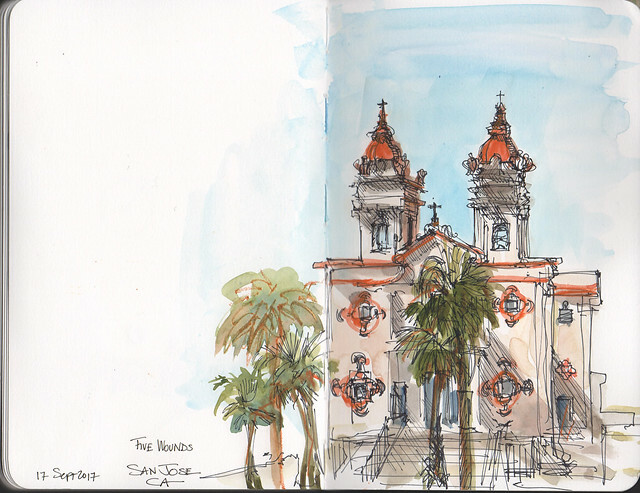 We stopped in front of Five Wounds Portuguese National Church -- I've wanted to draw it for some time so was glad to get the chance. 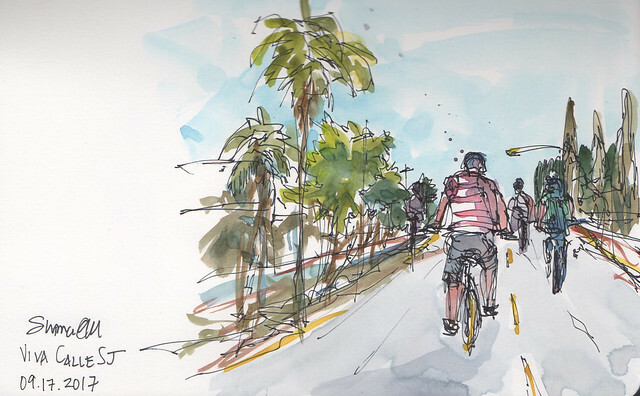 Someday I'd love to go down to LA to sketch during a CicLAvia event.